Now, even before we get talking about the event there's a few things that we have to talk about first!! 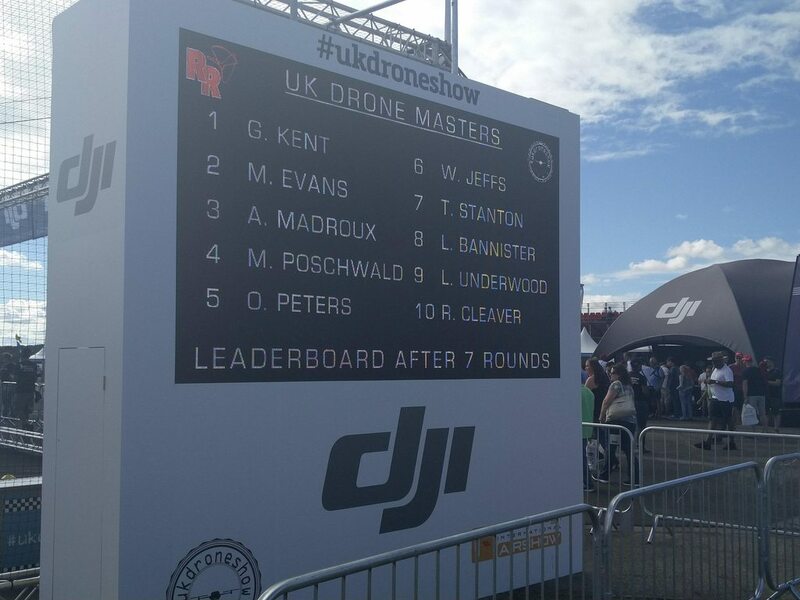 Firstly, what an insane year 2016 has been for drone racing. 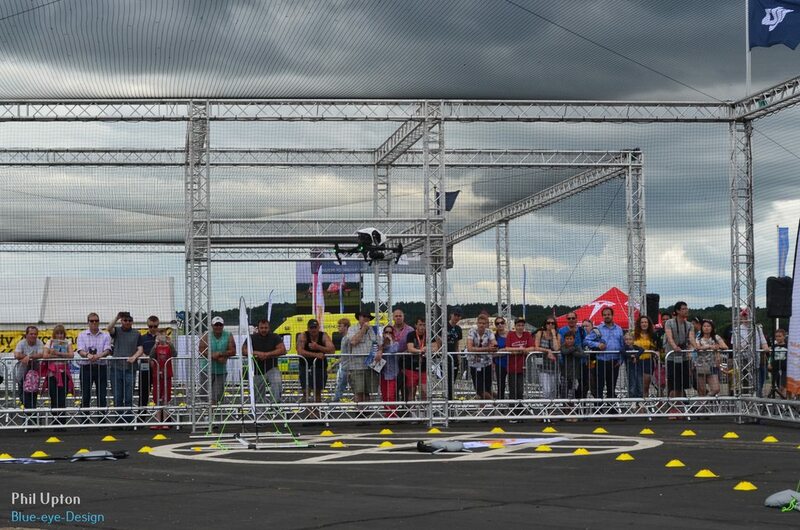 It's been slowly built up with more and more events, getting bigger and better each time, until we reach Farnborough. 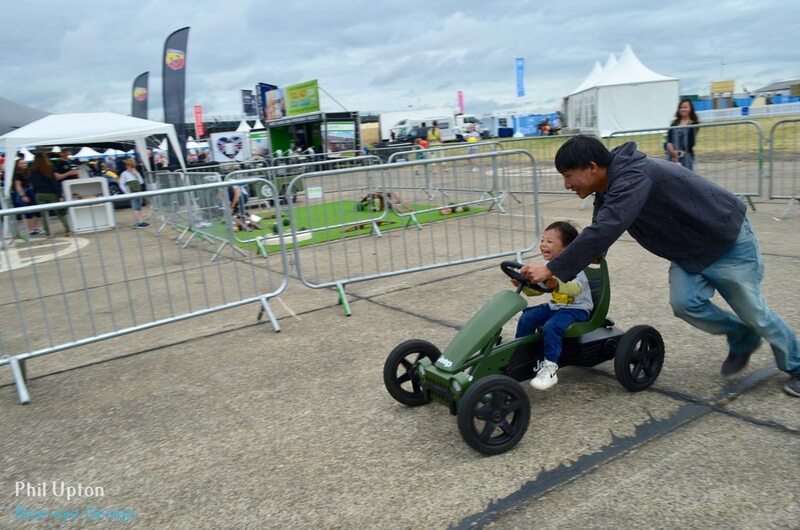 I mean the event really speaks for itself - a HUGE feature stand at Europe's biggest Airshow, it's going to be really hard to top that is all I'm saying!!! So with that being said, I was one of the 30 lucky pilots invited to the event - it's an Invitational which is exactly what it says on the tin; you are invited by the team and they are looking for the best of the best. 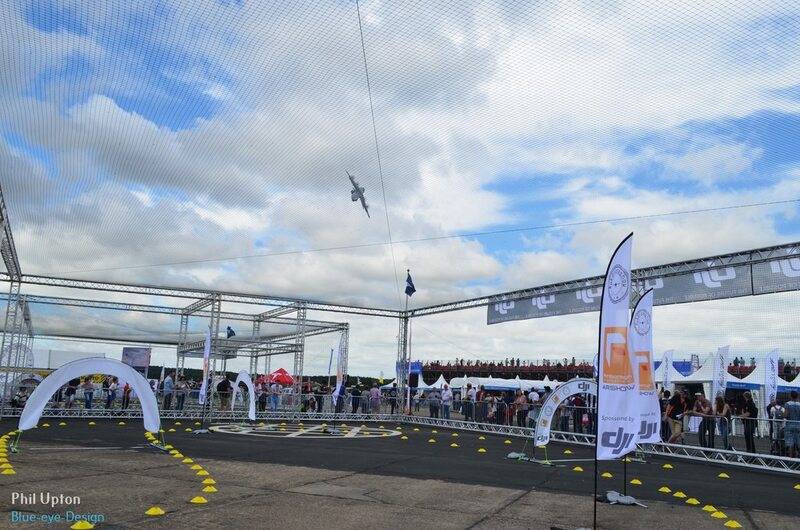 That allows the event to showcase what drone racing is all about to the general public, most of which (an 80,000 footfall across the weekend) will likely not have even heard of. Amongst the other pilots we have superstars such as Luke "BanniUK Bannister, and Gary "JusticeFPV" Kent from our home turf, and we were privileged to be flying with some international pilots such as Mac Poschwald from Poland and Alex Madroux from France who both came over as part of the Tornado XBlades. We got in bright (not so bright actually it looked like it was going to rain!!) and early after being scanned and the usual security checks ready to rock. Walking up to the cage it looked HUGE! We had all imagined it a bit smaller than it was, but actually comparing to the simulator it was pretty spot on indeed, super impressive! Craig and Niall were tasked with bringing the commentary all weekend and what a great commentary they did. I said post-Delta Hawks that Craig had found his niché, with Niall brought in as a duo they absolutely killed it. 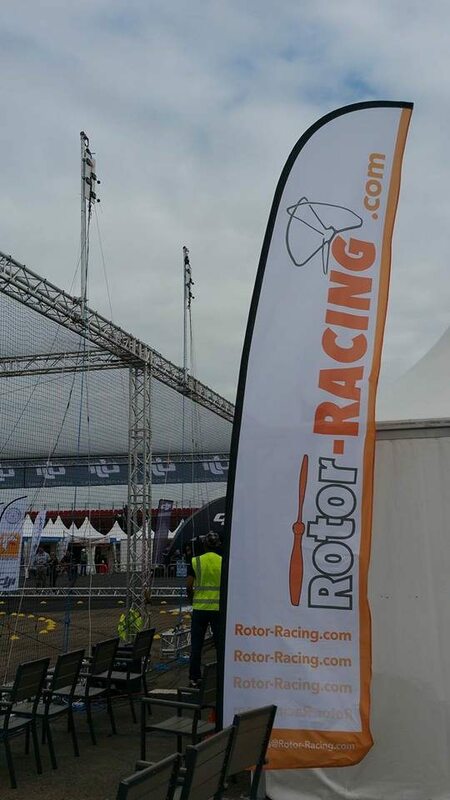 The commentary was great all weekend, with lots of information about the racing but also other important stuff like the BFPVRA, UK Drone Show, Drone Simulation, DJI and other supporters. Craig was great at previous events but with them paired together it was sublime. They bounced off of each other throughout the day and got the audience laughing multiple times. I even saw Craig giveaway a small drone to a young girl who was celebrating her birthday, that is incredibly good kindness. 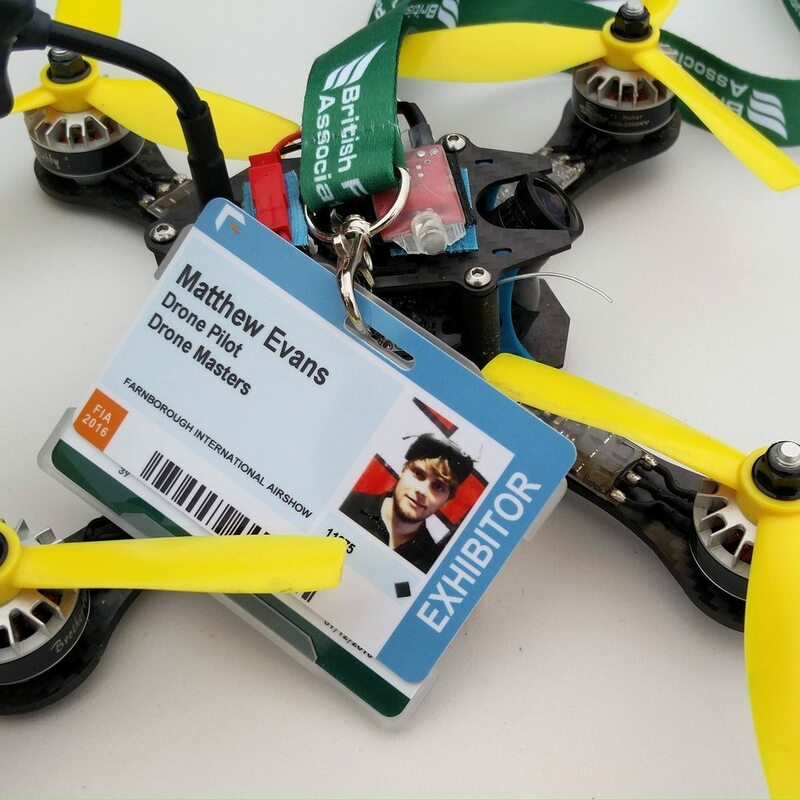 Pilot check-ins saw failsafe testing, channel assignments and validating VTX power. 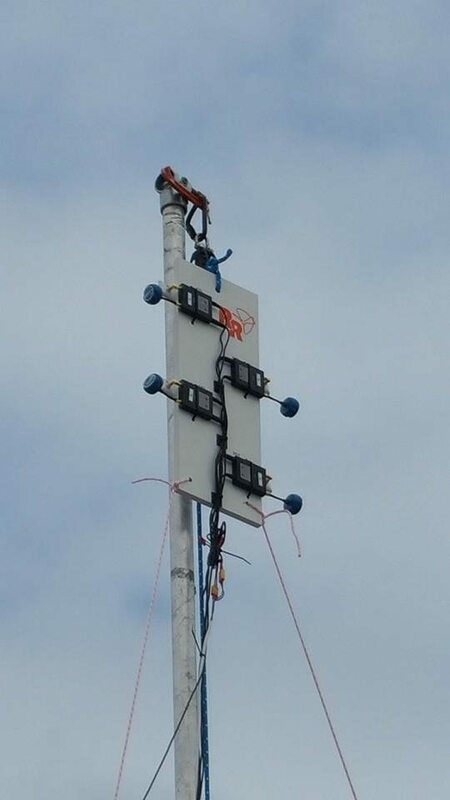 The validation we were using 25mW was a great addition to the check-in, we've had some video issues recently which are suspected to be from higher power VTX's escaping through. 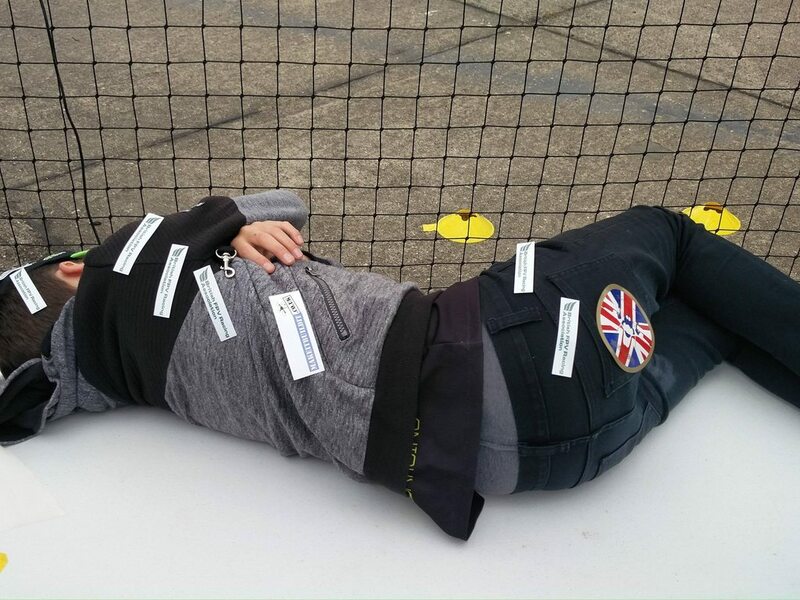 Eric prepped all of the pilots with a formal safety briefing, of which most of us are familiar with to ensure the day ran safely and smoothly. Safety really was paramount in such a location to fly, with live aircraft displays throughout the day and the general public up close. I was told the pitting tent was actually smaller originally and we got an upgrade, but getting all 30 pilots in was a bit of a squeeze. With that being said, everyone huddled together and we had the community working great as usual with people helping others out where they could when stuff got broken or people had forgotten to bring equipment. Next to the cage we had a couple of giant screens showcasing both ourselves and some of the footage we have got over the past few months, as well as results standings and other useful data. 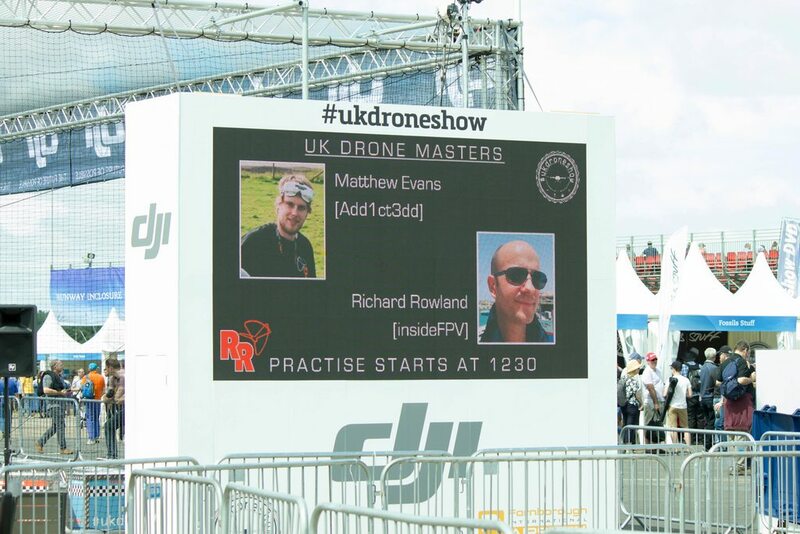 During races they were also broadcasting live from the FPV cameras of the pilots so the public could see exactly what we had to fly and contend with. Considering it was a giant metal cage once initial video issues had been resolved it was pretty good all day. With the demos over (our morning slot was used for the administration) and midday approaching us we got into the air for our first practice. 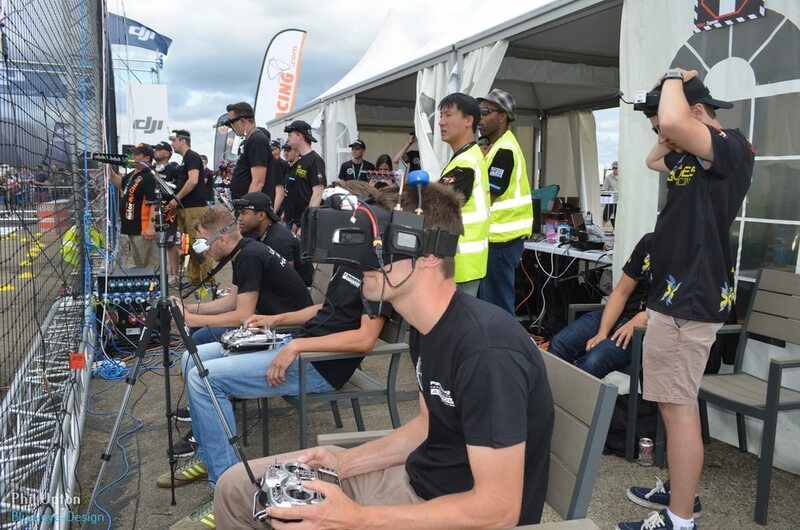 Most of the 5 heats started off with around 50% of the pilots crashing within the first laps; it's a tight course that challenges even the top pilots. With that being said, we could immediately see crowds drawing and watching in excitement of both the racing, and the carnage that a metal cage and concrete floor brings. And actually considering the rough environment we were flying in, most quads actually did very well at resisting any damage and came away pretty unscathed. Every now and again we'd hear some almighty turbine start to take off, or in this case a quad array of turbo-props! The sheer power on the A400M is insane, the climb angle of it during take off is just incredible, it seems physically impossible haha. On other scales of physically impossible, we all quickly learnt that height control on this track was key to maintaining a good line, but also remaining in the race! A fair few quads were victim to the ceiling nets, moreso than the side nets, and retrieval sometimes took a while. I somehow got lucky throughout the event and was never left hanging, though I did misjudging lowering too quickly on the tunnel exit and hit the scaffolding at the end of the tunnel a couple of times! There were a few other stars of the show aside from the pilots; most notably the HUGE A380 Airbus that flew through the skies on both days. 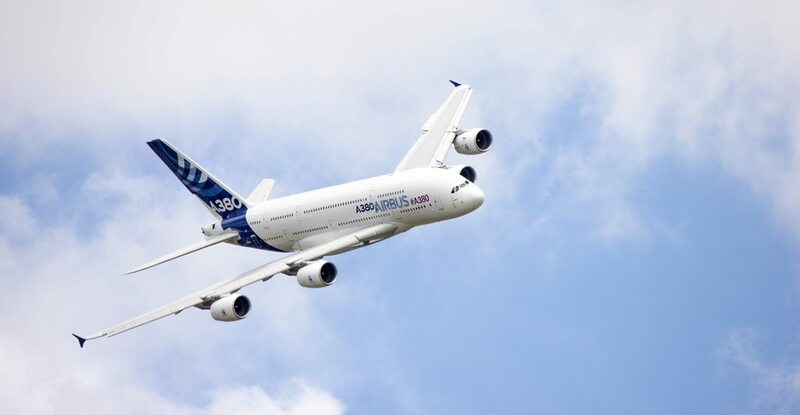 It's really hard to put into words how big this plane truly is, it's just mental. I was spectating one of the races through my goggles and you could see it clearly in the goggles to the point it had a bigger footprint than a quad say 1m away!! 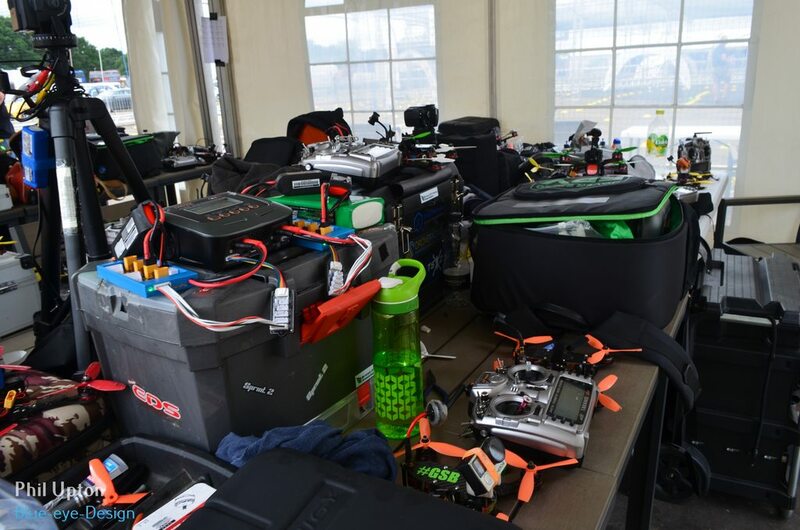 Aside from the static planes, the fpv racing and the live flight line there were many stalls situated throughout the length of the runway and had all sorts of goods and services. 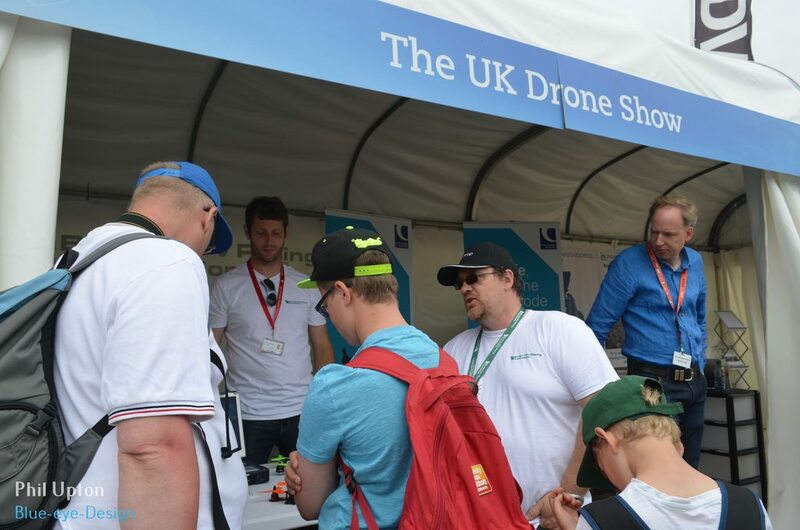 The UK Drone Show had a huge stall their with part of it being held by the BFPVRA, where the general public had huge interests in drone racing and basically just wanted to start out with quad flying and later get involved in the racing. I know they were swamped all day every day which is great for the BFPVRA, being the Membership Secretary myself I think we've so far done a great job in turning around what was possibly a stagnant association into one that represents pilots as best as possible. Shoutouts to awesome planes can't really stop there can it? I've been to Fairford (RIAT) Airshow a good half-dozen times, possibly more, so I love a good display. 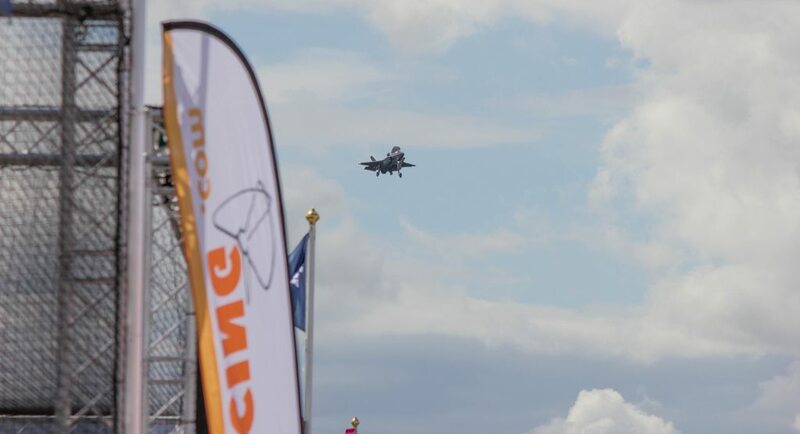 This year was no different at Farnborough where everyone was hugely excited to see the much anticipated, much delayed, and much hyped F-35B! I hope we can get more shots like this in future, and this won't be the only day we can photograph it with a Rotor-Racing flag in sight! It's a complete animal, what else can I say? This is the favourite photo I took all weekend, it looks like I've just clipped the background out, but this is "as-is", bar some minor colour correction. Ok ok, back to the racing! We were up, we ran through practice rounds pretty quickly and managed to squeeze 2 qualifying rounds in at the end of the day too. I'd gotten used to the course pretty well without any crashes just taking it slow and getting a little faster each time. For me, the key was getting the camera angle right, which I didn't get right until the 2nd qualifying round. If you had it too high you were just constantly looking at the sky on the tight bits which made it annoying, and too low meant judging the tunnel when you were going at speed was just going to end in crashes! With Saturday done and dusted I couldn't believe it - I'd made 2nd place so far! The rounds had gone super well for me considering my parents were also there so a little extra pressure, though to be honest I just managed to block everything out really well, even with noisy planes in the skies! Sometimes you just need a mandatory selfie, this weekend was no different! Craig is hilarious and got the perfect pose on this shot haha. I didn't cover much racing on Day 2 because it went very similar to Day 1. I had a couple of crashes which I lost a couple of rounds on but luckily the format was "7 rounds of qualifying and the worst 2 are dropped". With a seat in 2nd place on the Saturday I managed to hold this on the Sunday too which was just awesome, I couldn't wait to get into the knockout stages to show what I had got to offer - I'd held back a little mainly due to a risk of crashing but now was the time to show what kind of speed I could offer in the Quarter Finals! So, when sat on the starting line I had noticed some weird glitching as if some sort of device had just turned on onto my channel. I quickly screamed out to Eric etc to let them know the current video was unflyable. After a bit of checking the issue it seemed to disappear, so I assumed whatever had caused it had now gone. I was a little wary but Eric asked if we were all happy; not wanting to delay any races I agreed and just decided "let's do this" - sadly, it hadn't been turned off at all and caused issues. Immediately from takeoff I faced issues of seeing another video feed, not quite sure who or what it was, but it certainly wasn't mine. I immediately crashed out before making it to the tunnel, where I sat for around 30 seconds expressing my anger towards the lack of video. 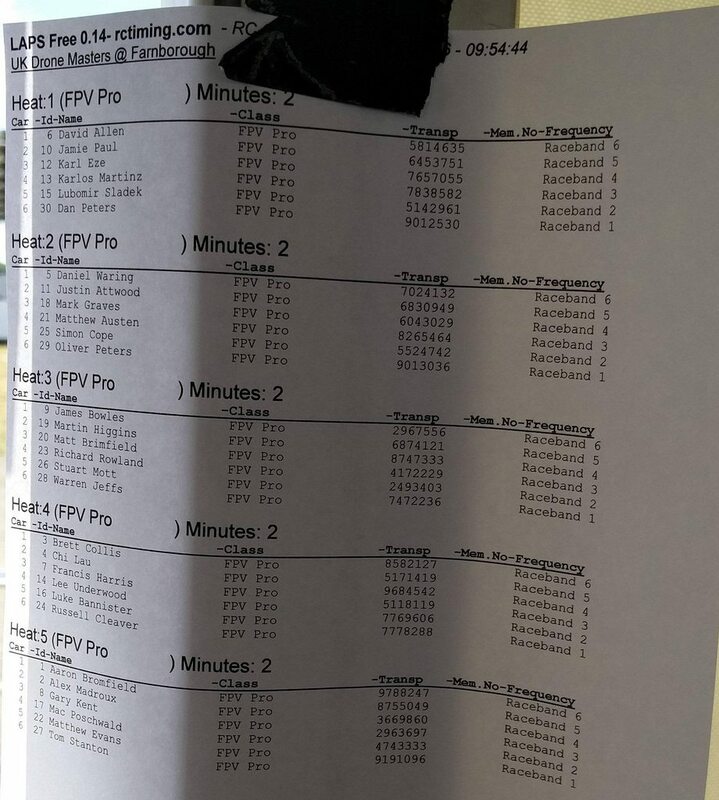 The race seemed to carry on so I just said to myself "screw it lets do this" - there was 2 places available in the semi-finals for the pilots with the fastest laps who did not make the knockouts, so i figured I should just aim for this as I should be able to get remotely close. After a few seconds of faffing around and finally getting ok video back I proceeded on the course, making up some time and actually overtaking a quad in the tight section just after the start! Sadly, just after going through the tunnel and past the high gate I had got complete video blackouts again and I crashed out onto the floor. It was at this point I knew I had no chance of completing it so just took the goggles off. 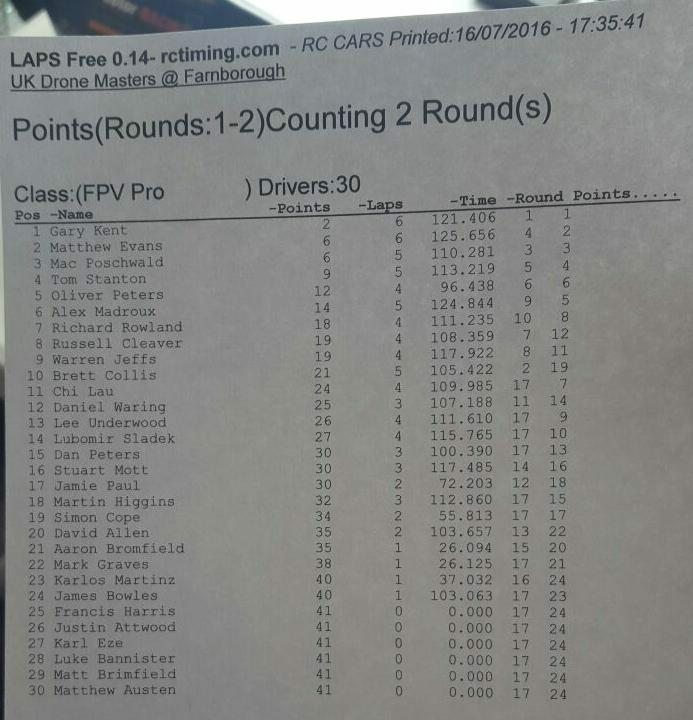 I was extremely angry - I'd managed to make 2nd place in qualifying over 7 rounds (not something to be sniffed at), I'd been pretty consistent the whole weekend, and now I'm out of the final runnings (and at around 28th place overall) because of something out of my control. 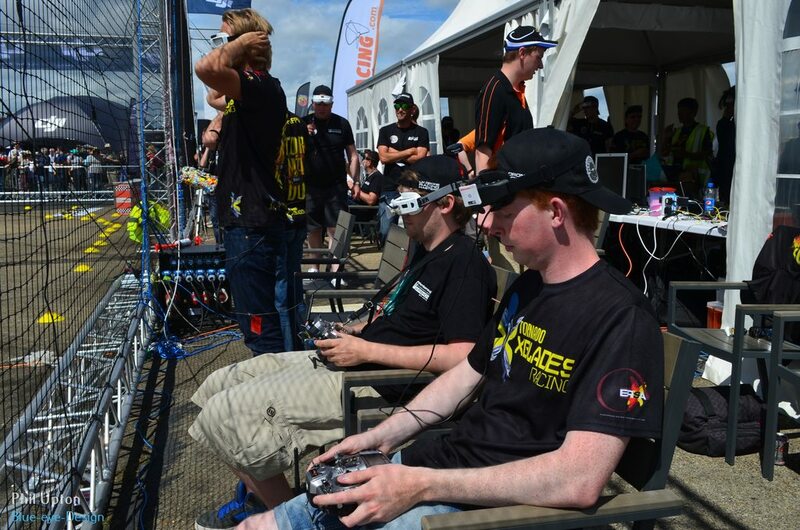 As soon as the race had finished I kept chatting to the pilots and race-control, showing them the impossible flyable video feed I had on my recording. They had confirmed on the RF explorer there was some odd noise on that channel so it wasn't just a dodgy VTX or anything on our end despite thinking that at first. 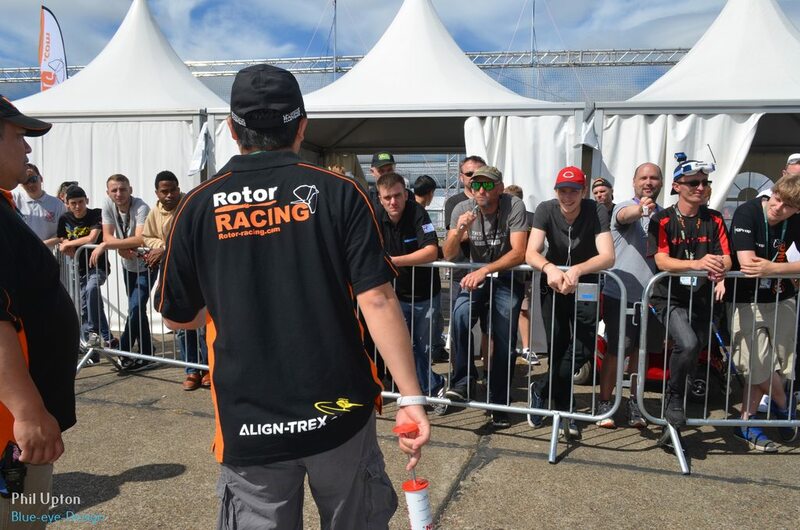 After a bit of talking back and forth, our quarter finals pilots were gathered together to cast a vote - whether to re-run the race or not. As you can imagine, some pilots did not want to - they had got through the race, and were happy with the result. 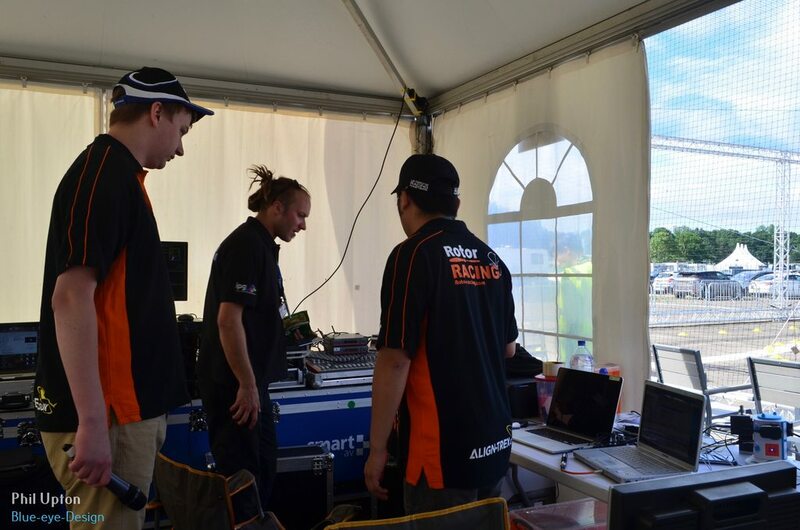 It was a bit of an impossible decision to make by Race Control because re-running it could look like favoritism, and not running it was a not great choice either due to the blatant issues, so it was left to us where we just agreed to re-run it (David Allen also had video issues being on the channel right below me). With 4 pilots wanting a re-run it was decided we would re-run it. We were given a few minutes to fix up quads, I need to change some props etc. I spoke to Simon who was angry, frustrated, but also felt cheated - he'd flown his socks off and just got through to the semi-finals, and was physically shaking because he felt he couldn't do again, not now he'd already done it once and had the pressure of doing the same again. 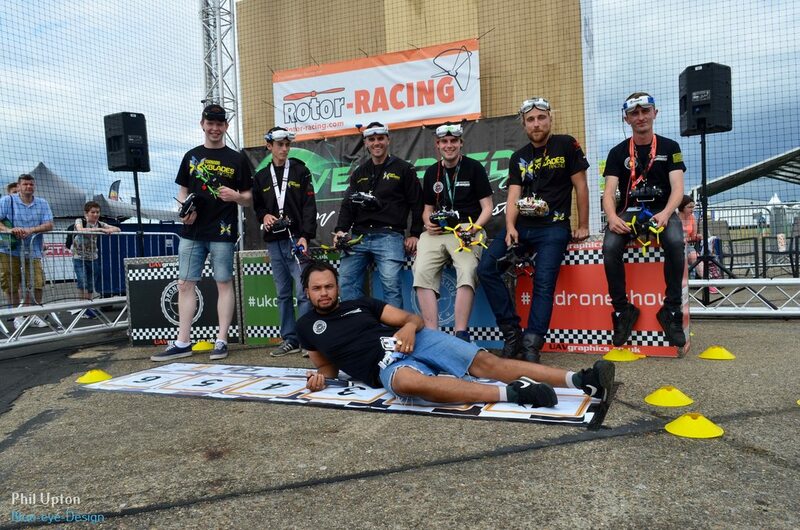 Anyway, a bit of a fast forward to people putting their quads on the line - Tom had to bow out due to a broken motor that he'd smashed when he crashed in the race just gone, so we were down to 5 pilots already. On the starting line I just stood there, thinking about the race, my friends, and the event. And then it just kind of hit me - while I wanted to win there's no doubt about it, friendship is way more important than that, and so is the community. We're all such great friends I just couldn't put my quad on that starting line, to the point I left the track with teary eyes because it was just an impossible choice to put my quad on that track knowing it could potentially knock a friend or two out who had worked so hard to get in that Semi. It sucked for me, it sucked really bad (after doing great in qualifying), but as I say I value the friendship over a single event, and so I refused to race and bowed out. During the re-race Rich simply took off, flew to the end of the track, and landed. The race continued, with only 3 now remaining in it, and LUCKILY, the result ended up the same as it was before we had agreed to re-race. I'm still a little sore about not being able to show what I could do, but it's just one of those things. In hindsight we could have stopped the race before the first lap to check issues, or re-ran a single heat just to get a time in, but it's a tricky one when I agreed that I was ready in the first place - one mistake I won't make again. I can't wait for the next events though because it will give me a chance to show what I have, I got quite unlucky at the previous event (Delta Hawks), and fell just short at Weston park too. With that being said, the event carried on with the semi-finals and the finals taking place. The last race was absolutely epic, it was a good few laps before anyone at all crashed out so quite a spectacle for the people watching behind the barriers, and that showed exactly what racing is all about! In terms of the event itself, there's so many people to thank I think I'd be worried about listing them all just in case I missed some out! 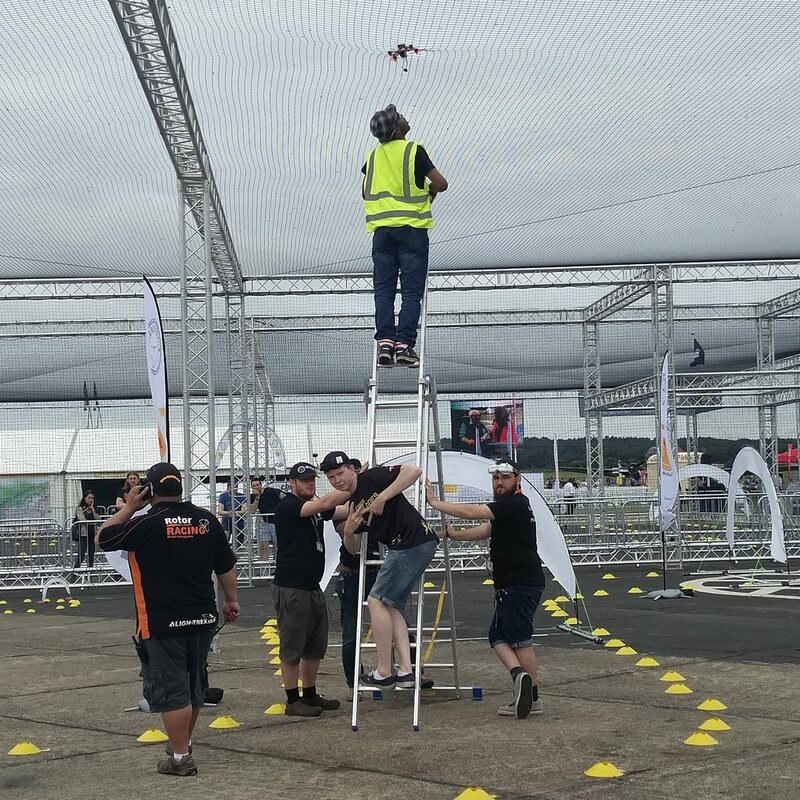 But on a short list UK Drone Show really pulled it off and managed to get a crazy crazy cool event going and it was the best event by far so far! 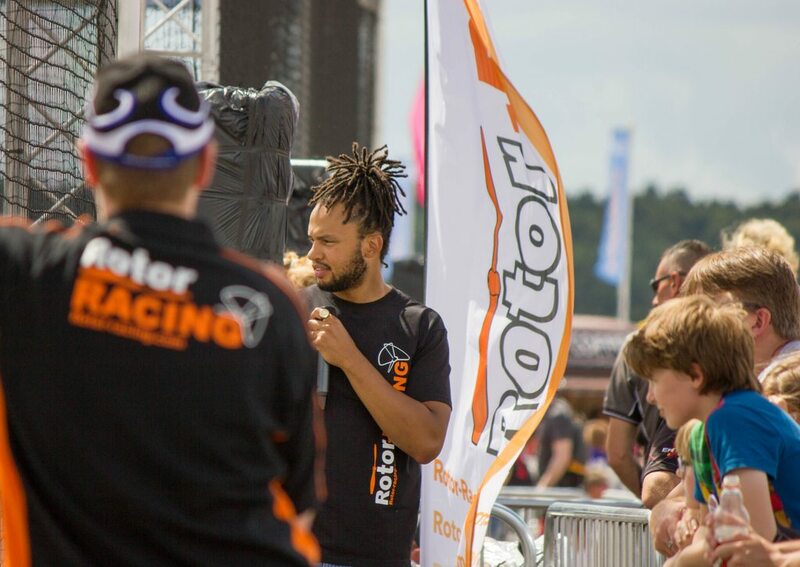 Rotor Racing provided flawless race-control as they always do, and get more efficient each time, which is great as we just keep racing and racing! Hoverspeed made some great looking gates and flags which looked great and were easily visible on the course, with thanks to Brett Collis for designing the track in the first place! And of course DJI, I don't know the ins and outs, but everything was branded DJI so I would imagine a lot of investment came about from these guys. 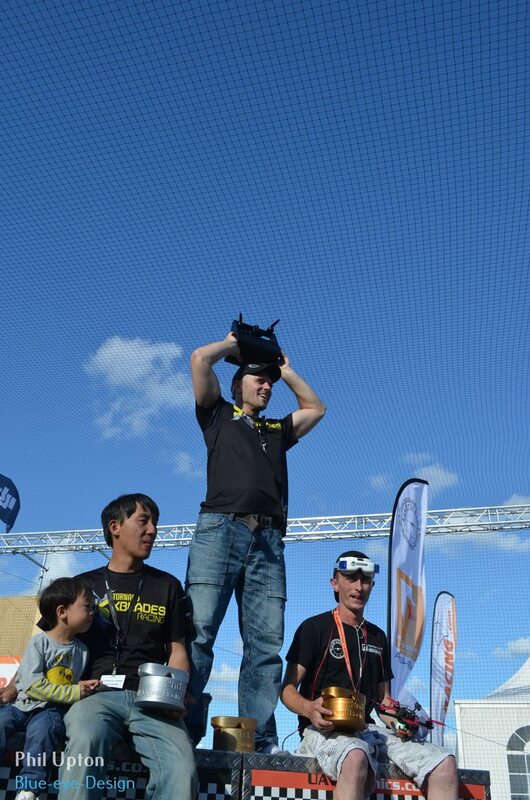 I know we sometimes joke about Photography rigs when comparing to racing drones, but actually what these guys did we will never forget. I've also seen they're starting to enter the racing market, so that is definitely something to watch out for! As I say, if I've missed anyone I apologise, it's just one of those things, and I can be quite forgetful!